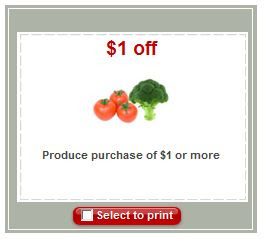 -$1.50 off 3 PRINT makes them only $0.22 each! Tomorrow's Publix sales look promising, stay tuned for that! 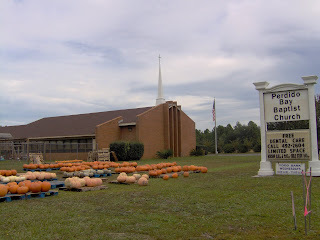 Don't forget to buy your pumpkin at Perdido Baptist. Proceeds go to the Food Bank. 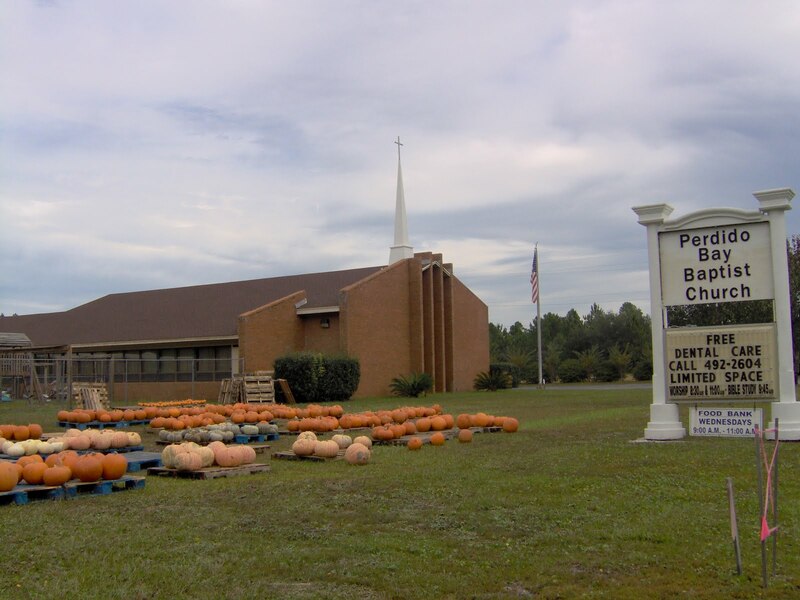 Visit Pensacola With Kids for more local fun like Halloween at the Wharf on Oct 31! Some toys and clothes on sale for 50-75% off at Target. 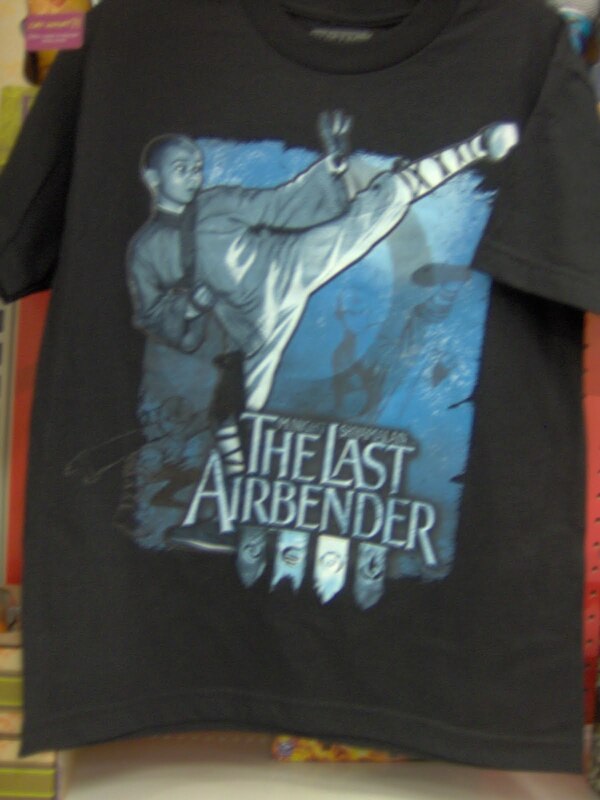 My kiddos love "The Last Airbender" tv show. I found the smaller toy for $1.98 (from $7.99) and the bigger one for $4.98. 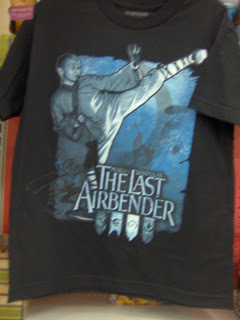 The T-shirt was 50% off for $4.98, great price for character shirts! I went ahead and wrapped them for Christmas. Our son just had his 6th birthday. When we wrapped his presents, we only had Cars "Happy Holidays" paper and he didn't even notice. We also ran out of tape and had to glue the presents shut. If you ever have to make do with glue- use liquid not the stick! Of course, he didn't notice that either. We still have enough wrapper left for Christmas, and I did find more tape! What didn't work out for me today was Healthy Choice Cafe Steamers. The Mediterranean flavor is awful. My palate was so confused, I could only take a couple bites. I had to resort to Hungry Man dinner. These were free with overage last week, I think. 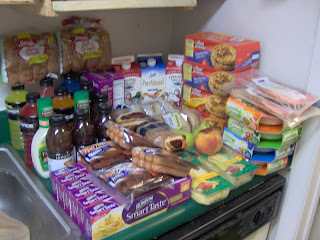 Everything below cost only $11 after coupons. The Perdido store let me use $2 of expired Publix coupons! That might a one-time merciful act. It's been many months since I have planned a dinner menu... Truth be told, I just stirfry most nights or make salad and sandwiches. Although it's been nice to be "creative" I think it's about time to get back to having a plan. This evening I spent some time looking and drooling over new recipes, especially found in Kulinarya (a list of Filipino foodies). In particular, Katrina's French Tartine posts were inspiring. Simple ingredients make yummy sandwiches. The beauty of Paris takes me away from this humid Gulf Coast weather. When I really thought about food & cooking in relation to the season of my life, it comes down to this: easy and simple is good enough! How's that for simple! I've already made 4 cups of brown rice. Half will go in the freezer for later in the week. Zatarran's was BOGO last week so I made Red Beans and Rice tonight. I added onions, garlic, and chicken stock instead of water for more flavor. We are out of BBQ sauce, which would have been nice for chicken wings. 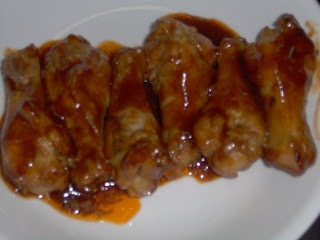 But instead I made hot wings and use half a bottle of Pete's. This was great with the beans and rice. I just need something for the children to eat! Stumped like I am for dinner menus or have easy ones to share? 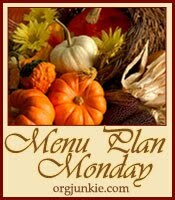 Post them with other hundreds of bloggers on OrgJunkie's Monday Menu Plan. I always check out I Heart Publix for Super Deals first before heading to the store. My printer toner finally came in on Saturday so I was able to print a bunch of coupons and do more deals than I had planned. I hope you were able to grab some Martha Stewart cleaning solutions. 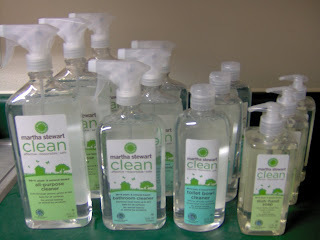 They came out to $4 for 6 bottles, which is pretty good for natural cleaning products. The Mobile Hwy store had the coupons for these but they were only good through 10/10. Some Publix stores may allow use of expired coupons if you still want to grab this deal. All in all, the total was $119 before any sales or coupons. But I walked out of there with everything for $17 on my first trip. 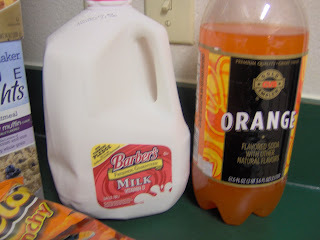 That includes $6 for 2 Publix deli ham and $6.75 for gallon Organic Valley milk & almond milk. I bought extra goodies for $0.78 for a second trip Sunday. 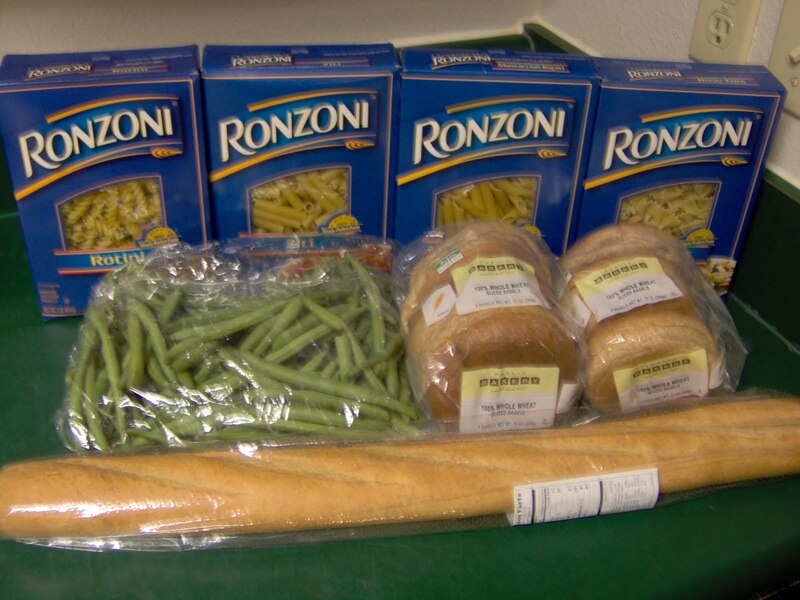 -Smart Taste Ronzoni is also BOGO. I used $1/2 PRINT. -Last week’s paper had a flyer for Powerade ION with a B2G1 Free Target Coupon. I bought 6 thinking I’d get 5 free but only 4 were free. BAD NEWS for coupons: Publix Mobile Hwy is becoming strict with coupons. I had the longest checkout in history as my cashier first matched up all my coupons with every item, reading each of them first. Then she had to check with the manager at least 3 times for proper coupon usage. Then she scanned all my coupons. My checkout took twice as long as the actual shopping trip. She was a nice cashier just learning how to take coupons so I didn’t start getting a migraine until the very end. But be forewarned. They are not taking more than one Target coupon per kind. 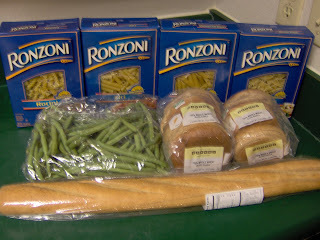 For example, I could only use one Target Bakery, Produce, Market Pantry bread coupon. So I had to put back a bunch of items. 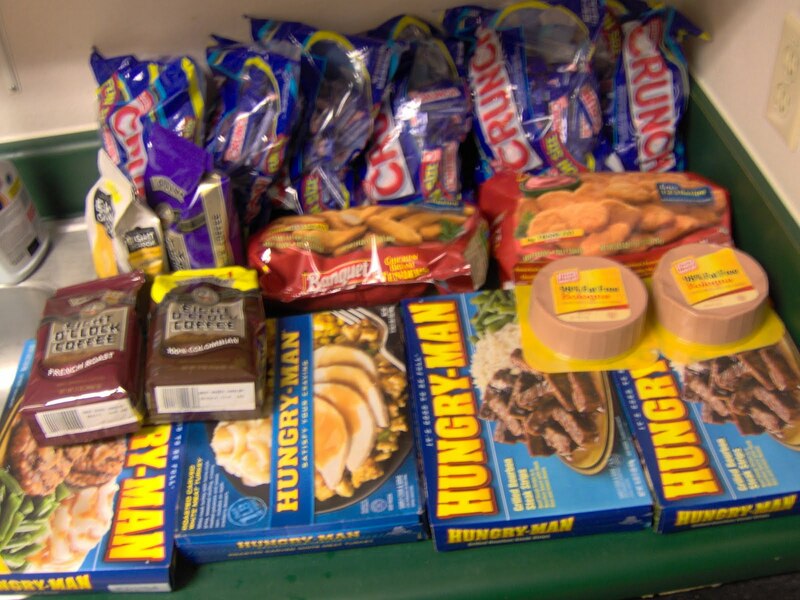 We scored lots of great deals on food this Sunday at CVS. Who knew even CVS is better than Wal-Mart! I spent $20.50 & got $11 ECBs. Also I still have $10 ECBs from last week. That’s like only having spent $0.50 for everything, including the newspaper. *The Hip2Save deal said 2liter drinks was part of the deal, but I didn’t see that in the store or in the ad. 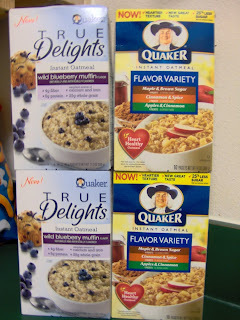 = 4 FREE boxes plus $2 Moneymaker! *The coupon is on Facebook but I don’t have an account. And don’t need one to get this. Just click on the Coupon tab and print these bricks coupons. 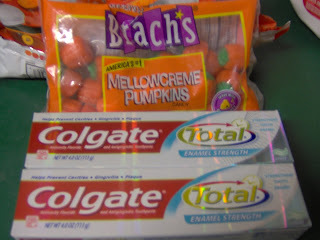 = 2 FREE toothpaste plus $2 Moneymaker! 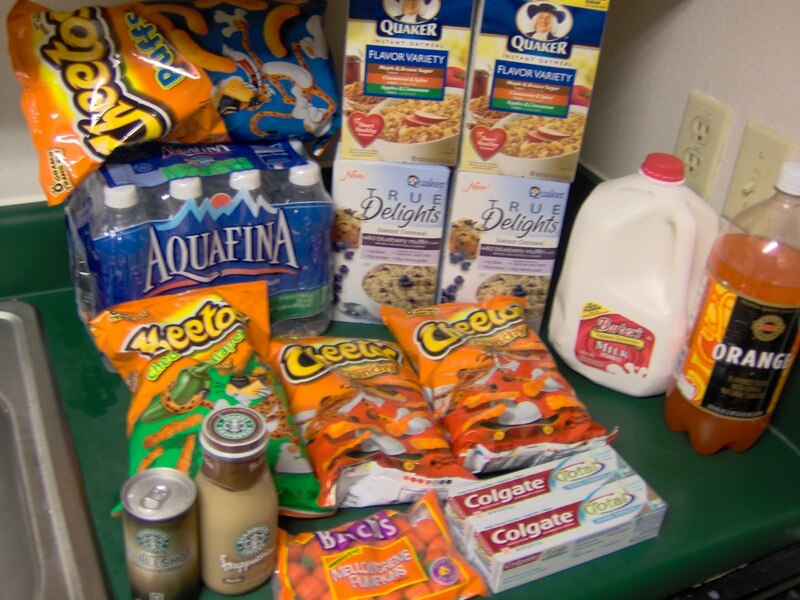 MSM has even more CVS deals for you with her weekly link-up. Hello Company Girls. It's been many months since I've been able to join you. Life has been quite a whirl here as homeschooling season got started. The worst Florida summer is over. Now it is officially fall, although it still gets hot in the early afternoon. Weather survival hinges on layering- start with a light sweater in the morning, bare down into camis by midday and head to the beach, then put on your sweater again for dinner. Pretty soon we won't be able to get by with flipflops either. How about you? Are you enjoying the crisp fall leaves? Do you look out and see the beautiful painted leaves? Our seagrass is turning golden brown. My children found a couple of crunchy leaves to jump on. Here, you have to spread them out because each crunch counts when there are so few leaves that fall. 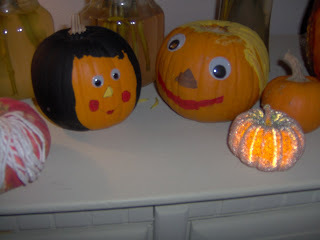 Irregardless of the lack of scenery, we can make it more festive indoors with pumpkin bread, apple pies, and hot cocoa. Don't you love the fall? 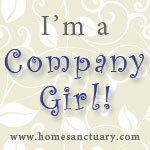 Share your thoughts and link-up with all the Company Girls. 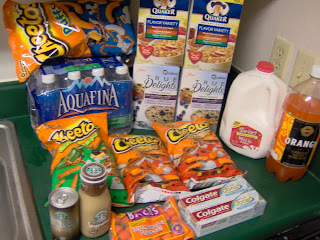 I was just at Winn-Dixie last night getting a few things. And I noticed $1 peelies for Thai Kitchen for any product. The noodles (looks like Ramen) is only $0.89, so FREE plus overage. Also, the cans of cocunut milk are BOGO at $1.99, so use 2 $1 off peelies and get two cans FREE! There were other nice coupons like $0.55 Hormel Natural deli meat, $2 off any Lactaid and others. This afternoon, I should get some computer time and upload pictures of my finds. See you then! Yesterday's MOPS meeting had a craft dear to my heart. They made a lasagna freezer meal. It was simple and super easy: 3 layers of sauce, lasagna noodles (we used no-boil), Italian seasoning, mozzarella & parmesan cheeses. Bake covered at 350 degrees for 45 minutes then uncover and bake for 15 minutes more. That's how I cooked it anyway. It made for a great early dinner! I am looking forward to making more dishes like these. I am also looking forward to shopping this week at Publix. I didn't go last week and missed a couple great deals. But there are lots of nice deals like Ronzoni that I would not want to miss. Check back later for my grocery deals highlights. Ok. Is there a Popeye's club we can sign-up because I am about to buy even more spinach. Thanks to a new $1 off produce coupon, Dole Spinach will be FREE at Target. It's been on sale for $2 a bag for a couple weeks. I'm praying the sale is extended. Combining the $1 Dole peelie and this $1 Target Q means FREE! If you can't find a peelie, I've seen lots at Winn-Dixie too. And both coupons can be used at our Publix. 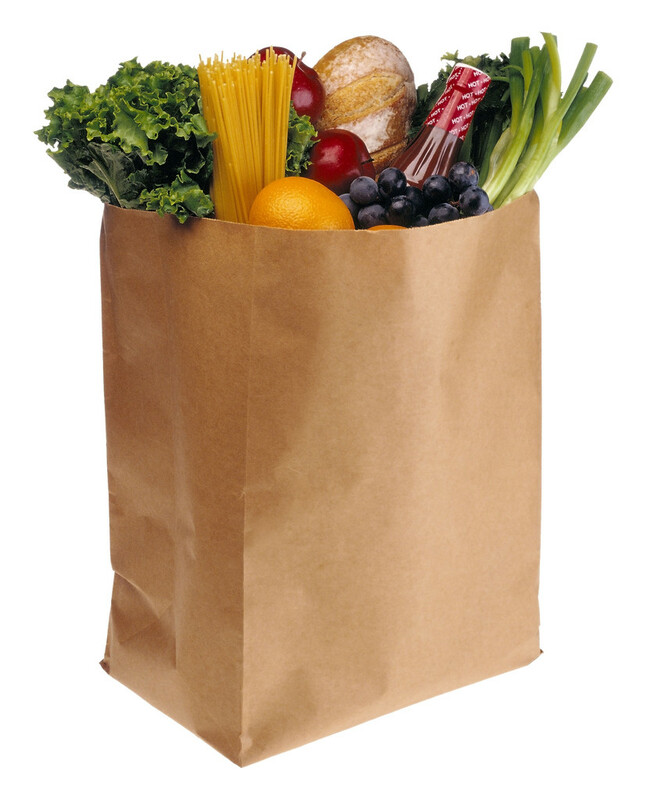 Wait until the next Dole sale at Publix, and you could score 2 FREE bags of salad. The $1 Bakery might have reset too. That means $0.19 French bread at Publix (they even have whole wheat sometimes). I love that Publix takes Target coupons! Plus there are $2 off Merona socks or hosiery, $3 Merona sweaters, $3 or $2 any men's, women's kids' denim, and lots of Market Pantry & Archer Farms coupons too. Coupons are allowed for even clearance items. I've seen some Merona sweaters for 75% off that would be close to FREE with these coupons. Don't forget Christmas presents! Thanks to Totally Target for picture and the heads-up! My shopping days are Weds or Thurs for the new grocery sales. And Sunday for CVS and Target. Because I only get the sale items, these shopping trips are extremely short and laser focused. No wandering. I do my best to avoid Walgreens because I've had too many problems with them in the past (and it's not right down the street). But sometimes, like this week, there are too many good deals to pass up. CVS has the same sales most of the time, so I stick with them. It's important to find one store you can shop regularly. Forming a relationship with the store manager and cashiers is like forming a shopping support group. They become part of the money-saving team: they will remind you of sales, tell you about clearance items, and don't hassle you about using lots of coupons. It's so easy to get organized now too. I use my favorite blogs to create a custom shopping list. It's way better than looking at the Sunday paper and figuring which coupons go with the sales. These blogs tell me everything I need to know about the deals, even deal scenarios. I've listed the highlights for you below. Buy the newspaper today! 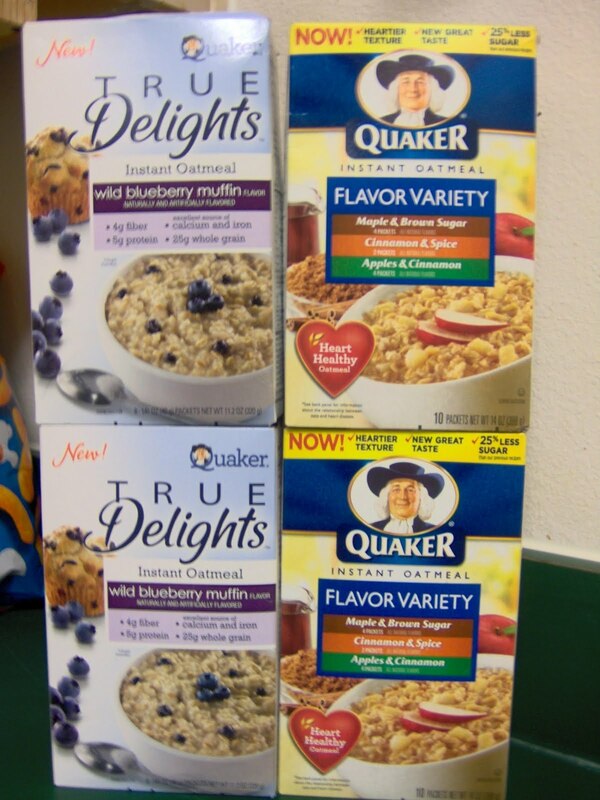 It will have 3 inserts: Redplum, SmartSource and General Mills. I am buying mine at CVS. $7 Overage from the Revlon Nail will give me plenty FREE newspapers. 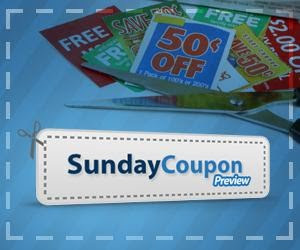 Visit Sunday Coupon Preview to see which coupons you can expect. Be warned that some coupons are regional. Our region seems to miss out on the higher value coupons like $4 Schick. If you need this coupon (Wags has a deal on them this week), consider buying it online from places like coupon clippers or coupons by Dede. Totally Target has the best weekly deals. My picks this week are $5 Gift Card promos for Ben & Jerry's and Mott's Applesauce. There are also $1/2 Target peelies you can stack with the coupon that will make them $0.95 each! No coupon needed for this great price! I found the easiest listed deals from Hip2Save for Wags & CVS. She highlights the best deals in red so it's super easy to find. = As low as $0.39! Better with $7 off $15 Revlon crt. Schick Hydro 3 or 5 Cartridges 4 ct. or Razor 1 ct. Final Cost $13 for all the above! Starting Sunday (Saturday for stores that start early), Revlon Nail Polish is on sale. 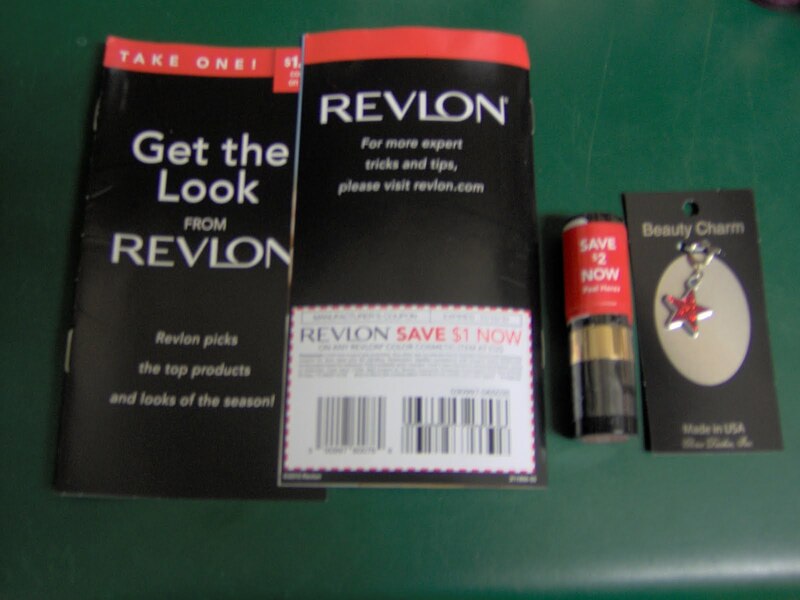 The booklet found in the free standing Revlon display has a $1 Manuf Q on the back. (Also, some of the Super Lustrous lipsticks have a $2 off peelie. I don't remember if that is only for the lipstick or other products. You could keep redo this transaction 5 more times by paying with a coupon from the previous transaction. Some have reported getting $7 off $15 Revlon from the price scanner. Use 4 $1 off Manuf. = 4 FREE plus $7 Money Maker! CVS.com now has the upcoming week's ad posted by Thursday. I think they are getting the hint that couponers love sneak peek's! Of course you can still visit IHeartCVS to see the previews and coupon match-ups. Yesterday I went to Target and listed a few nice 75% off deals. I really wanted to get these square plates that were only $12.48 at my store. Granted we already have enough plates but no square ones. I thought about them for the rest of my shopping trip. Later, I talked to my SIL about 75% off sale on housewares. She was at Target and saw these pretty white plates for only $14.98, 50% off the original price. I told her about my plates but the same ones she saw were $34, with no sale sticker. I suggested she checked the price at the price scanner. It might be on sale. So she did and it was! Only $0.50 more at $12.98, still an awesome price. The white plates were really cute too and only a few dollars more. She scanned the price in case it was even cheaper. 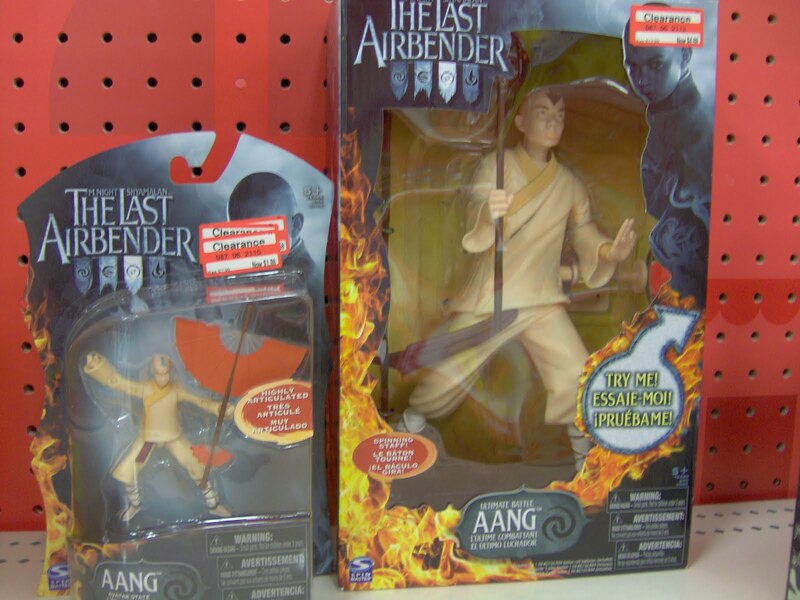 The scanner revealed the truth- it was NOT on sale. The price that rang up was $29.98 not $14.98. That ended the battle of the plates and she chose the square ones, which match her décor better anyway. Plus I get first dibs if she decides to get rid of them. Or I could buy a set here and when we get together we can have 8-place setting! Moral of the story: Use the price scanner! You’ll find deals from blogs like Totally Target and may get discouraged your store doesn’t have the same discount. Since the price scanners are everywhere, go ahead and check anyway. You might end up with a nice surprise!